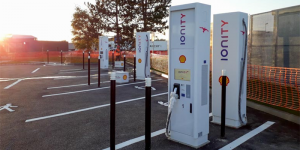 In cooperation with Ionity, Shell has officially opened their first high power charging park in France. 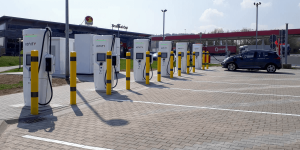 The eight new HPC stations are located at the shell gas stations Chartres-Bois and Chartres-Gasville, about 90 minutes south of Paris. 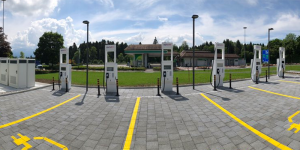 Ionity’s first high-power charging sites in Austria have now been put into operation in Mondsee (Salzburg) and Eisentratten (Carinthia). 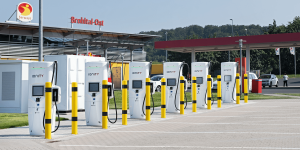 Both have been installed at sites of station service company OMV. 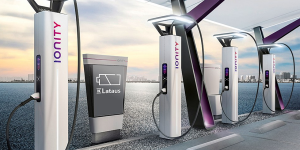 Like it is the case for all Ionity charging stations, each charging point delivers up to 350 kW. 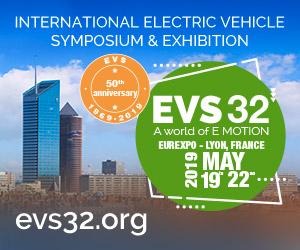 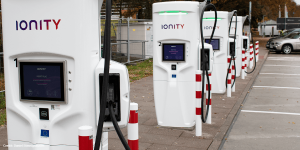 Free charging for EVs with IONITY was officially relegated to the history books today: As of now, the HPC coalition of vehicle manufacturers BMW, Daimler, Ford and Volkswagen and its subsidiaries Audi and Porsche will begin charging €8 per charge. 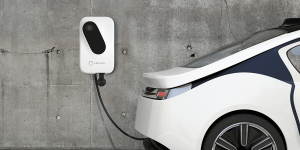 The high power charging network IONITY set up by mostly German carmakers has turned to Tritium of Australia to order ultra-fast charging equipment. 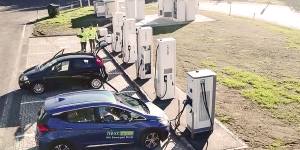 These will equip 100 HPC locations across five European countries – for a start. 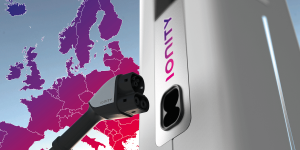 IONITY will be fitting a total of 80 Tank & Rast rest stations in Germany with EV charging infrastructure. 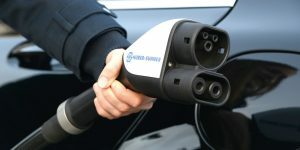 The two cooperation partners announced this at the unveiling of the first German HPC park at the Autobahn stop near Brohltal. 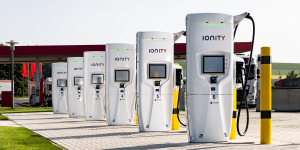 The DACH region is catching up with high power charging stations as both Ionity and Smatrics opened first HPC locations this week. 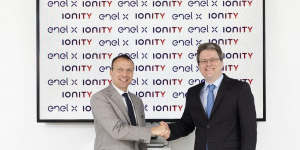 While Ionity focuses on motorways, Smatrics together with Wien Energie connected metropolitan Vienna. 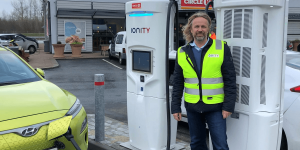 The high power charging network IONITY has opened its first location, right on the “Autobahn” A61. 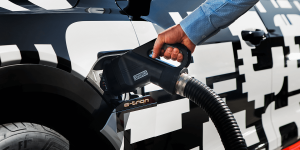 It is located at a pit stop operated by Tank & Rast and electric cars using CCS may charge for free throughout the end of May. 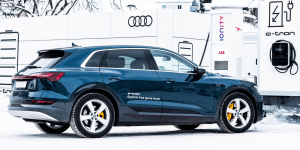 Audi took the occasion of the Nordic EV Summit in Oslo to map out all 400 planned stations of the high-power-charging network Ionity. 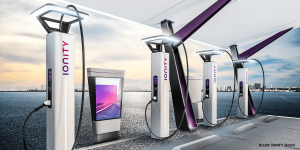 Set up by mayor carmakers, they started work on the first 20 stations last year and plan to hit a total of 100 stations in 2018. 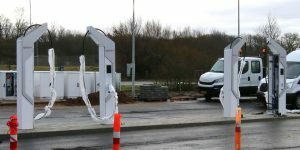 The future of charging is becoming a reality at Danish Aabenraa, where the first charging facility of the high-power charging network IONITY is being installed at present. 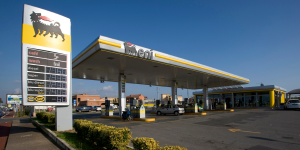 We paid the promising site next to a gas station a visit.